Love Cells is a webdrama that’s a bit on the strange side. Quirky, weird, different? No, unique is a better word. Don’t get me wrong, I did enjoy it. It’s just not your average Kdrama, but that’s okay. First of all, there are 15 episodes, each around 15 minutes long. Yes, I said 15 minutes. I’ll bet you’re wondering the same thing I did, “How can you have any kind of substance with just 15 minutes of the story at a time?” Well, you can’t but, for some unknown reason, it still works. The main girl in the story isn’t really a girl. Oh, she looks like a girl but she’s really a cat. No, she’s really a love cell that went into a cat that turned into a girl. See, I told you it was weird, I mean, unique. It’s based on the webtoon of the same name. 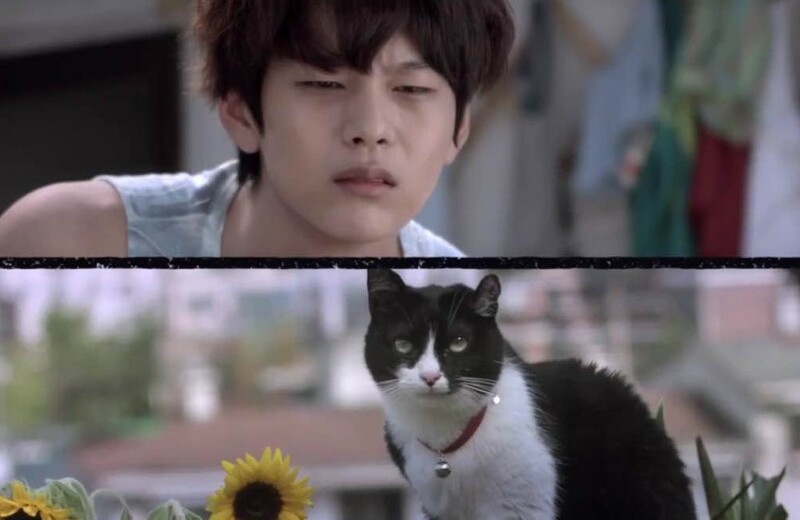 The very short story is about a young man, Ma Dae-Choong, who gets magical help from his love cell/cat/friend so that the idol he’s in love with will reciprocate his love. But even with magic involved it’s not an easy task because there is already an actor who is in love with her. The twist lies in Dae-Choong making that girl fall for him before Navi, the love cell/cat/girl’s time is up. Navi only has a short time to make the two become a couple or she dies. So her survival all hinges on how lovable she can make Dae-Choong be. She certainly has her work cut out for her because, unfortunately, at first glance he’s definitely not the type of guy girls would swoon over and fight to be with. Good thing Navi has a magic bag of tricks. That’s all I’m telling you. I wasn’t familiar with anyone in this webdrama. 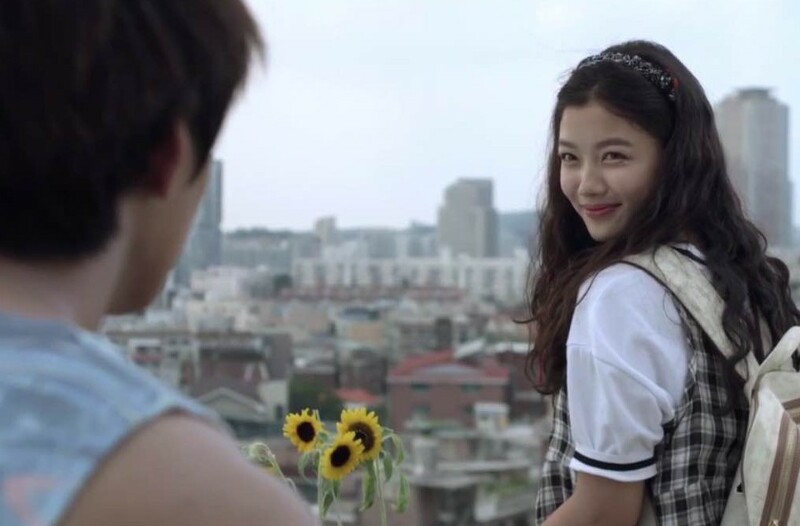 Kim Yoo-Jung plays Navi, the love cell. Park Sun-Ho is our leading man, Dar-Choong. Nam Ji-Hyun is So Rin, the girl Dar-Choong is after. And Baek Sung-Hyun plays Chun Ji-Won, the star who loves So-Rin. Love Cells is about as plain as a webdrama can get. It tells a story clearly and succinctly and then it’s over. The ending is written in such a way that, if they want to make a sequel, they can. In fact, I wondered if there was another episode I wasn’t aware of. Now, don’t get me wrong, it doesn’t NEED another episode but having one wouldn’t be like they were stretching a story that is fine the way it is. The soundtrack is decent and the filming locations are… well, they’re not boring but they’re nothing special, either. I consider Love Cells a “surface drama”. I made up that name, so if you said it to someone else they probably wouldn’t know what you’re referring to. A “surface drama” is one that just isn’t deep enough for the audience to get emotionally involved in. The whole time you’re watching it you’re cognizant of the fact that it’s just a bunch of people acting out a story. I’m not saying that’s a bad thing, it’s just something that keeps it from really finding a place in your heart. It’s difficult to invest a lot of emotion in a show when there’s not that much to it. So, here’s the big question – is watching Love Cells a waste of your time? Not at all. I think it’s a fun drama to watch when you have a free 15 minutes here and there – while you’re waiting for your ride to work, eating breakfast, waiting for dinner to cool, winding down before bed… It’s a good time filler. Just don’t expect anything close to a “wow” and you won’t be disappointed.